Also known as "Peace Lily" - the perfect gift for any occasion. Flowering almost all year round & always with lush green foliage,it is ideal for home,office & low-light areas. Beautifully gift wrapped. Madonna (Peace) Lily Also known as "Peace Lily" - the perfect gift for any occasion. 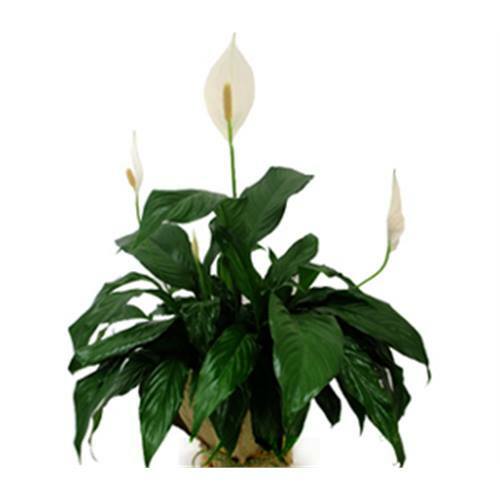 Flowering almost all year round & always with lush green foliage,it is ideal for home,office & low-light areas. Beautifully gift wrapped.